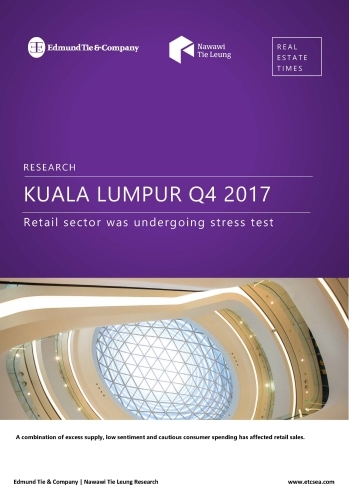 Malaysia’s GDP rose 5.9 per cent year-on-year (y-o-y) in Q4 2017 (Q3 2017: 6.2 per cent y-o-y). Unemployment rate remained unchanged at 3.4 per cent in Q4 2017. Consumer Price Index (CPI) grew by 3.5 per cent y-o-y in Q4 2017, marginally lower than the 3.6 per cent growth recorded in the previous quarter. CSI increased to 82.6 in Q4 from 77.1 in Q3 2017. The Ringgit appreciated by 3.8 per cent, to RM3.91 per US dollar in Q1. By submitting the form above, you agree to Nawawi Tie Leung's Data Protection Policy.